Do chimps like to listen to African and Indian music? While the first part of this summary must be wrong (the study did not present any Western music to chimpanzees, neither did any other study), the study does provide intriguing evidence for a difference in preference between West-African and North Indian music on the one hand, and Japanese taiko music and silence on the other. 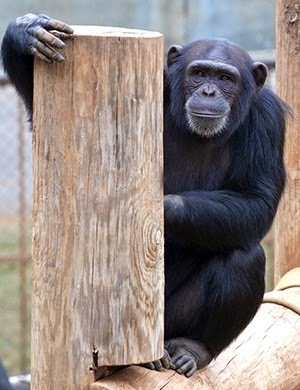 Chimps apparently prefer the former sounds in their environment over the latter. The paper is framed as a critical answer to an older study by McDermott and Hauser (2007) that showed nonhuman primates (i.e., cotton-top tamarins and marmosets) to prefer slow tempos and silence over music, but dislike music overall. But are these studies also an indicator of musical preference? So the different stimuli were in fact used to test a sensitivity to a complex of acoustic properties. Because if one would like to test a musical preference, one needs to know what the chimps are listening for. Is it loudness, timbre, melody, rhythm, timing, etc. Unfortunately the stimuli are not provided online, or described in such a way that the original recordings can be traced, very much against the notion of replicability common in most empirical research. Hence, we can not listen to them for ourselves or run computer algorithms to extract the musical and/or acoustic features for comparison. We have to do with a rather crude characterization of the stimuli (For example, the 'Japanese taiko stimulus' is characterized as atonal, with undefined pitch, and 1 strong beat per 1 weak beat) and guess what the acoustical differences were. Yet another strange detail: some of the music was slowed down artificially, this to bring all stimuli in the same tempo range. A peculiar transformation that humans would readily notice (see earlier entry). Well, the experiment was not designed such that it could show that it is indeed the rhythmic structure that these chimps were attending to. In fact, there is no convincing evidence as yet that chimpanzees, or any other nonhuman primate, can actually perceive rhythmic regularity (See earlier entry). Although it is suggested that apes (as opposed to monkeys) might have some of the neural circuitry that is needed for beat perception (Merchant & Honing, 2014), it has never been shown that any of the great apes can perceive the beat in a rhythmically varying stimulus such as music (See discussion in earlier blogs on the topic of beat induction). What has been shown, however, is that monkeys can be sensitive to the rhythm structure or rhythmic grouping (cf. Merchant & Honing, 2014). Hence it is more likely that it is the rhythmic structure (or rhythmic grouping) that the chimpanzees use to distinguish between the musical stimuli, instead of perceived regularity: the beat. Nevertheless, it could also be any of those many other features of music that makes the difference for them: dynamic contour, timbre, note density, melodic contour, timing, etc, etc. Merchant, H., & Honing, H. (2014). Are non-human primates capable of rhythmic entrainment? Evidence for the gradual audiomotor evolution hypothesis. Frontiers in Neuroscience, 7 (274) 1-8. DOI: 10.3389/fnins.2013.00274. The Music Cognition Group (MCG) searches for an enthusiastic and well-organized personal assistant (PA) for the Academic Year 2014/15. For more information and detailed instructions on how to apply see here. Deadline for applications is 15 August 2014.